Procession • 30 Scouts in full uniform salute or hold flags. South Salt Lake • Boy Scouts from Troop 28 raised a flag to half-staff Tuesday under much less-threatening skies than those produced last week by a thunderstorm that took the life of one of their own. Wearing full uniform, Scouts from the Granite Park Stake quietly lined the sidewalk in honor of 12-year-old David Rayborn, who was fatally struck by lightning while attending a Scout camp at Scofield Reservoir on July 13. 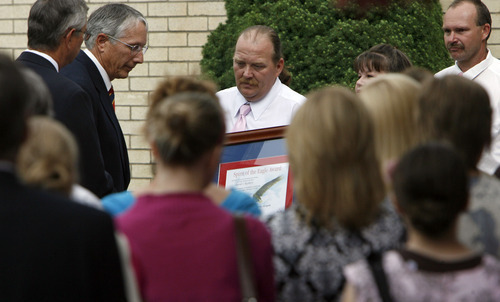 As part of the South Salt Lake boy's funeral, David was posthumously presented with the Spirit of the Eagle award. At least 30 fully uniformed Boy Scouts from two different troops stood outside the Granite Park Stake Center, 601 East Mansfield Ave. (3117 South), to salute or hold flags as the funeral procession made its way to the Mt. Olivet Cemetery, where David was buried. Noah Parks, 14, of Troop 28 in the Granite Park Stake, was in the same church ward as Rayborn. He remembered the Scout as someone who was always smiling. "I think he would be happy so many people showed up, and even those that [didn't] know him, " Parks told The Tribune. 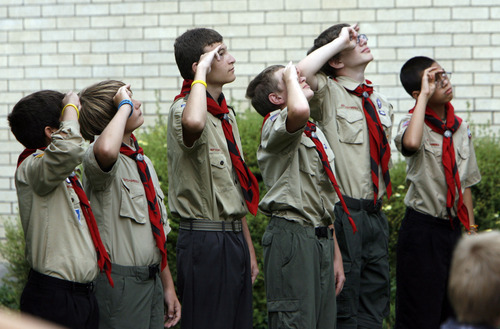 Scout Master Rulon Carter, of Troop 687 from the Cannon Stake in Glendale, said the boys in his troop felt they should pay their respects to a fellow Scout, even though they never met Rayborn. "It just feels like all of us [Scouts] are family," explained Trevor Vallo, 17, of Troop 687. "It doesn't matter if you are old or young, we are all family." "We honor each other," Vallo said, adding that whether someone is a Scout or not, they are all people and each deserve the same respect. "Each of us, we all have our own purpose here and we are trying to figure it out," Vallo said. "We are all in this together." 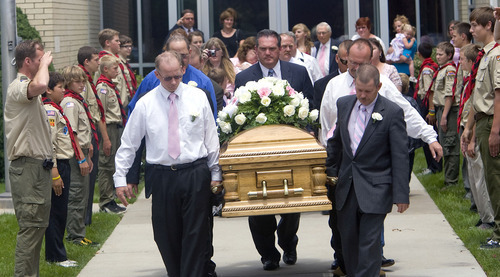 Boy Scouts of America executives from The Great Salt Lake Council and Utah National Parks Council attended the funeral, along with the camp director and others from the Scofield Scout Camp. David was among a group of Scouts returning to shelter when the storm moved in at the camp. 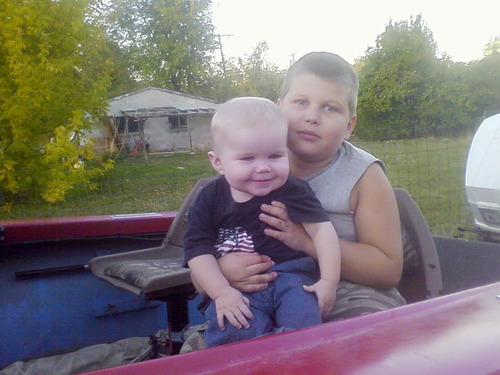 He and 12-year-old Sean Smith  a friend and neighbor  were at the back of the group when they were struck by lightning. Sean, who was knocked unconscious, woke up to find no one around. He told his parents he shook David to try to wake him up before running to get help. Sean was taken to a hospital after he started to feel sick and noticed a rash-like burn on his body. 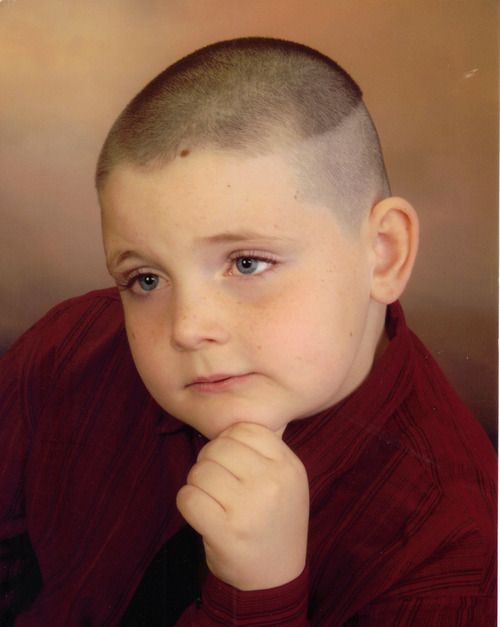 David's mother, Connie Rayborn, has described her son as a talker who loved to help people. She said David was always late coming home from school because there was someone to help first on the way. "He loved it. He lived to be a Boy Scout," Connie Rayborn told The Tribune on Monday. "Everything was Scout, camping, fishing and hunting." 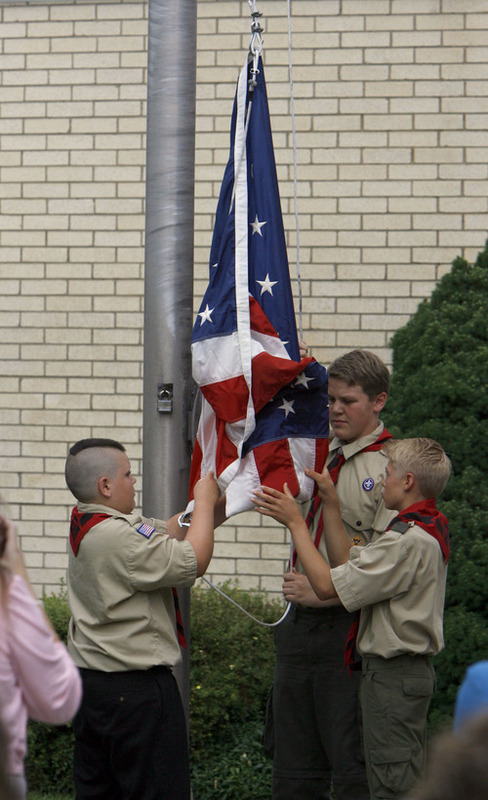 O Watch video at sltrib.com of the Boy Scouts honoring a fellow Scout killed by lightning.